In 2008, the National Science Foundation awarded The University of Texas at Austin $12.5 million to develop innovative solutions for high school engineering education. The cornerstone of this work has been the creation of an exemplary, yearlong engineering curriculum and teacher support program, Engineer Your World. Designed by faculty in the university’s Cockrell School of Engineering and College of Education – both top-10 programs – and in collaboration with NASA engineers and secondary education specialists, Engineer Your World is transforming how the discipline is introduced and taught in high schools across the United States. As a top-ranked center of engineering education and research and a globally recognized leader of innovation, the Cockrell School is committed to expanding access to high-quality engineering education for all students. We hope you will join us as we continue to redefine the future of engineering education. Dr. David Allen is the Gertz Regents Professor of Chemical Engineering, and the Director of the Center for Energy and Environmental Resources, at the University of Texas at Austin. He is the author of seven books and over 200 papers. 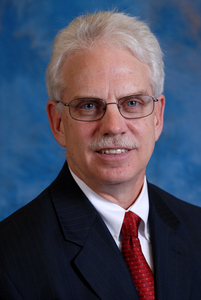 The quality of his work has been recognized by the National Science Foundation, the AT&T Foundation, the American Institute of Chemical Engineers, the Association of Environmental Engineering and Science Professors, and the State of Texas. He has served on a variety of governmental advisory panels and currently chairs the Environmental Protection Agency’s Science Advisory Board. He has won teaching awards at the University of Texas and UCLA and the Lewis Award in Chemical Engineering Education, from the American Institute of Chemical Engineers. Dr. Allen received his B.S. degree in Chemical Engineering, with distinction, from Cornell University in 1979. His M.S. and Ph.D. degrees in Chemical Engineering were awarded by the California Institute of Technology in 1981 and 1983. He has held visiting faculty appointments at the California Institute of Technology, the University of California, Santa Barbara, and the Department of Energy. 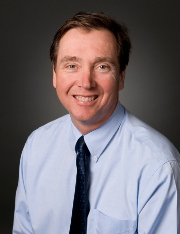 Dr. Richard Crawford is a Professor of Mechanical Engineering and Temple Foundation Endowed Faculty Fellow No. 3 at The University of Texas at Austin, where he teaches mechanical engineering design and geometric modeling for design. His commitment to engineering education has been recognized by awards including the 1995 Fred Merryfield Design Award from the American Society for Engineering Education in recognition of his contributions in design education, the 2010 Ralph Coates Roe Award for exemplary Mechanical Engineering educators, and a 2011 University of Texas System Regents’ Outstanding Teaching Award. His research interests include a wide spectrum of topics in computer-aided mechanical design and design theory and methodology. Dr. Crawford received his B.S. degree in Mechanical Engineering from Louisiana State University in 1982. His M.S. and Ph.D. degrees in Mechanical Engineering were awarded by Purdue University in 1985 and 1989. Dr. Christine Julien is a professor in the Center for Advanced Research in Software Engineering (ARiSE) in the Department of Electrical and Computer Engineering at the University of Texas at Austin. Dr. Julien’s research work focuses on the intersection of software engineering and dynamic, unpredictable networked environments. She and her students develop models, abstractions, tools, and middleware whose goals are to ease the software engineering burden associated with building applications for pervasive and mobile computing environments. Since joining the University of Texas at Austin, she has developed two new graduate courses that emphasize software engineering research as it relates to mobile, distributed, and pervasive computing. Dr. Julien has also contributed to the teaching and refinement of three core undergraduate courses. Dr. Julien received her D.Sc. from Washington University in Saint Louis in 2004. Dr. Leema Berland is an Assistant Professor of Curriculum and Instruction at The University of Wisconsin-Madison (WI). Prior to joining the faculty at WI, Dr. Berland was an Assistant Professor of STEM Education at The University of Texas at Austin where she served as the chief learning scientist for the development of Engineer Your World. Dr. Berland continues to collaborate with the course development team to ensure that Engineer Your World aligns with the current research about how people learn. Dr. Berland is currently a Co-Principal Investigator on the National Science Foundation-funded project “Supporting Scientific Practices in Elementary and Middle School Classrooms.” In addition, she is a researcher on the UTeachEngineering project. Dr. Berland received her Ph.D. in the Learning Sciences from Northwestern University in 2008. 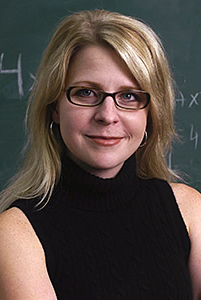 Dr. Catherine Riegle-Crumb is a professor in the Department of Curriculum and Instruction at The University of Texas at Austin.  Dr. Riegle-Crumb’s research interests center upon gender and racial/ethnic inequality in educational experiences and achievement in math and science. As a sociologist of education, she is particularly interested in the role of social contexts, including friendships, schools, and communities, in increasing or ameliorating educational disparities. Her research also focuses on the complex intersection between gender and race/ethnicity with regard to educational inequality. Dr. Riegle-Crumb’s work has been funded with grants from several agencies and foundations, including the National Science Foundation and the National Institutes of Health. Her research expertise includes quantitative research methods and analyses of national datasets. 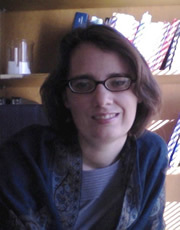 Dr. Riegle-Crumb received her Ph.D. in Sociology from the University of Chicago in 2000.